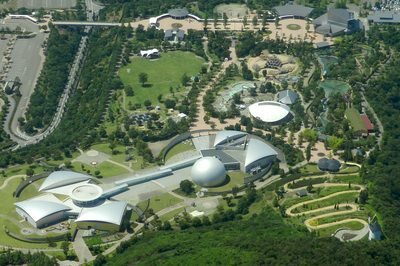 A large park where children can learn interactively about science and nature while they play outdoors, or by visiting the park's main structure, the Tokushima Science Museum. Take the Tokushima Bus at JR Itano Sta. (approx. 9 mins). Get off at the bus stop "Asutamuland " then it is a short walk. Approx. 15 mins when using the free ALM bus from JR Itano Sta. Highest point: 1,019 meters. Cow pastures and highland plants can be seen here.